NYC Immigration Lawyers, Naturalization, Green Cards, Deportation Defense, Brooklyn, New York - How Do I Get A Travel Document? 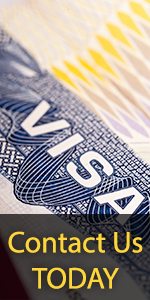 » How Do I Get A Travel Document? How Do I Get A Travel Document? What is a Travel Document and Who Needs One? The legal foundation for requiring these travel documents comes from the Immigration and Nationality Act (INA). INA § 211 discusses documents required to admit aliens and control their travel. INA § 212 states that any immigrant who does not have the correct travel documents will not be admitted to the United States. The specific eligibility requirements for travel documents are found in Title 8 of the Code of Federal Regulations (CFR). 8 CFR § 223 describes the purpose, processing, and validity and effect on admissibility of all three documents. The alien must file USCIS Form I-131, Application for Travel Document, complete with supporting documentation, photos and applicable fees. This form can be downloaded from our Forms and Fees page. See the application for specific filing instructions. A copy of the approval notice of a separate application for replacement of the alien registration receipt card (Form I-797) or temporary evidence of permanent resident status. An explanation or other evidence demonstrating the circumstances that warrant issuance of Advance Parole. If the alien is basing his or her eligibility for Advance Parole on a separate application for adjustment of status or asylum, he must also attach a copy of the filing receipt for that application. If the alien is traveling to Canada to apply for an immigrant visa, he or she must also attach a copy of the consular appointment. A copy of the document issued by USCIS or former INS showing the alien’s refugee or asylee status and indicating the expiration date of such status. Where to file the Form I-131 depends upon the benefit sought. See the Form I-131 instruction page for details. The alien must apply for the travel document before leaving the United States. Failure to do so may cause the alien to lose permission to re-enter the country, and lead to the denial of any other applications. To check the status of your application, please contact the USCIS office that received your application. You should be prepared to provide the USCIS staff with specific information about your application. Please click here for complete instructions on checking the status of your application. Please click here for more information on USCIS field offices. If your application for advance parole is denied, you will receive a letter that will tell you why the application was denied. You will not be allowed to appeal a negative decision to a higher authority. However, you may submit a motion to reopen or a motion to reconsider with the office that made the unfavorable decision. By filing these motions, you may ask the office to reexamine or reconsider their decision. A motion to reopen must state the new facts that are to be provided in the reopened proceeding and must be accompanied by affidavits or other documentary evidence. A motion to reconsider must establish that the decision was based on an incorrect application of law or USCIS policy, and further establish that the decision was incorrect based on the evidence in the file at the time the decision was made. For more information, please see How Do I Appeal the Denial of Petition or Application?.